I Spy a Reindeer is a book created by Lorrie Ann Harrington that focuses on teaching commenting skills centered around the personal pronoun â€œI.â€ This pronoun is used repeatedly throughout the book with a special page designed to teach the relationship between the pronouns â€œIâ€ and â€œme.â€ Â In addition, the story is structured in such a way that it can be used to help teach children to identify, label, and categorize words, by commenting on the text and pictures. Also included for download is the graphic and text used on the â€œmeâ€ page. 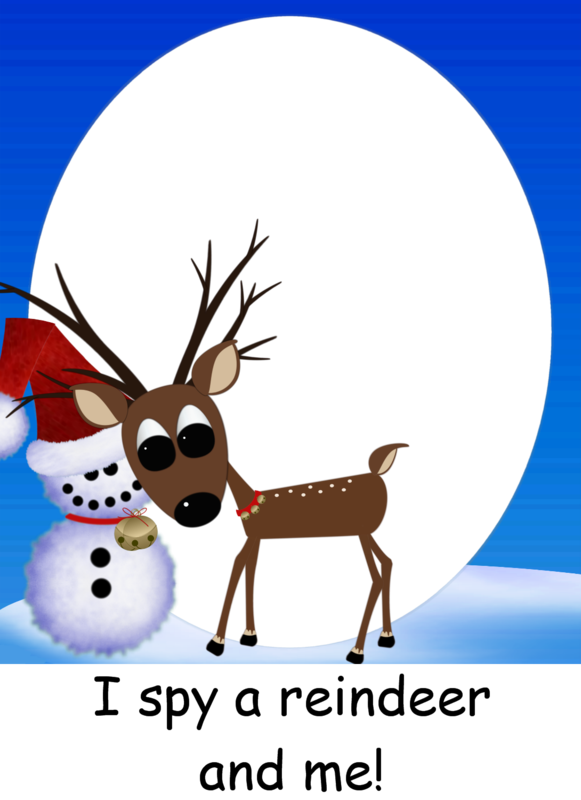 Â This additional download can be used to personalize I Spy a Reindeer for your child or student.